For those who didn't know, Sesame Street has turned 40. Pretty remarkable. I've seen a few blogs mention it in this or that way, but two posts grabbed my attention, and for rather different reasons. Sesame Street was effective because the program didn’t just contexutalize [sic] to the present; it contextualized to the future. Remember, after all, when the show started. It was in 1969, the era of George Wallace and the Black Panther Party and campus race riots and the Richard Nixon “Southern Strategy.” From the very start, the program showed kids what few of them had ever seen before: a racially integrated neighborhood. Now, Sesame Street could have done this with preachy didactic dialogue....But instead, they showed kids racial equality, and made it normal for them, without ever saying much about it in the process. 2. 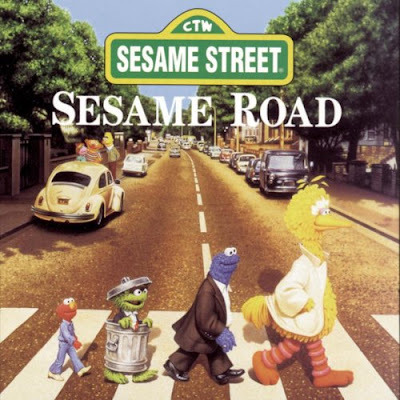 On a lighter note, Glen Smallman found Rolling Stone's top 41 musical performances on Sesame Street and posted the youtubes of his favorites, which are Johnny Cash, Paul Simon, Norah Jones, Feist, and James Taylor. They're all really fun. Check out Glen's blog for those videos and the Rolling Stone link.